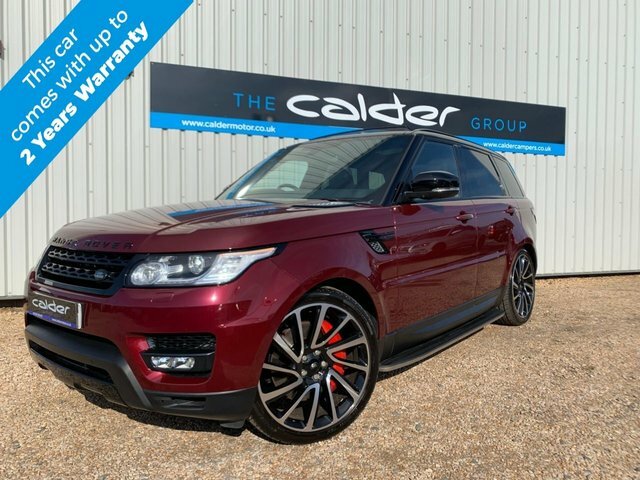 SIMPLY STUNNING SPORT FINISHED IN MONTALCINO RED METALLIC WITH THE FULL BLACK PACK ( STEALTH PACK ) INCLUDING THE CONTRASTING SANTORINI BLACK ROOF AND GLOSS BLACK ROOF RAILS. THIS CAR HAS ONLY HAD ONE FORMER KEEPER SINCE NEW WITH A FULL LAND ROVER SERVICE HISTORY. LOVELY SPEC WITH THE FULL LENGTH OPENING PANORAMIC ROOF, 21" ALLOY WHEELS ( JUST FULLY REFURBISHED ) ALSO SHOWN WITH OPTIONAL NEW 22" WHEEL AND TYRE UPGRADE ( COST OPTION ) , PRIVACY GLASS, TOUCH SCREEN SATELLITE NAVIGATION, DAB RADIO, BLUETOOTH WITH VOICE CONTROL, REVERSING CAMERA, ELECTRIC DEPLOYABLE TOW BAR, UPGRADED MERIDIAN SOUND SYSTEM, ILLUMINATED SILL PLATES, SIDE STEPS, THIS CAR HAS OVER £8000 OF ADDITIONAL SPEC!!. FULL BOOK PACK, TWO KEYS, FULL MAIN DEALER SERVICE HISTORY. STUNNING EXAMPLE WITH ONLY ONE OWNER SINCE NEW. FINISHED IN FUJI WHITE WITH BLACK CONTRASTING ROOF AND BLACK PACK AND FULL BLACK LEATHER TRIM. 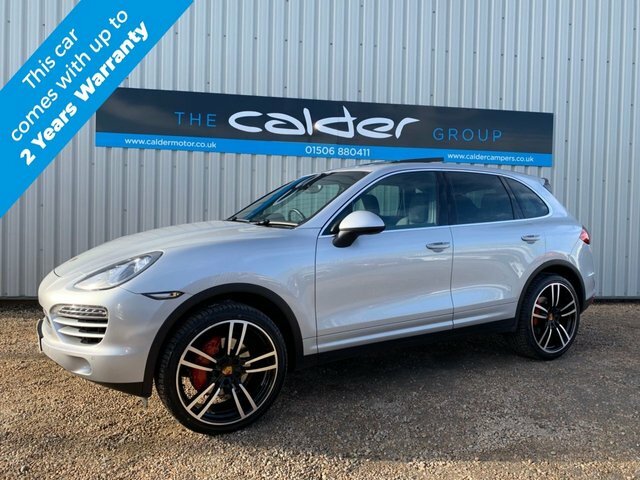 THIS IS A LOVELY LOOKING CAR WITH SIDE STEPS, REVERSING CAMERA AND FRONT AND REAR SENSORS, PRIVACY GLASS, DAB RADIO, TOUCH SCREEN SATELLITE NAVIGATION, BLUETOOTH, 20" ALLOY WHEELS. ALSO SHOWN WITH OPTIONAL 22" ALLOY WHEEL AND TYRE UPGRADE ( COST OPTION ) SVR GLOSS BLACK GRILLE, BLACK BADGES ETC. 8 SPEED GEAR BOX WITH PADDLE SHIFT, ELECTRIC SEATS WITH MEMORY, HEATED SEATS, KEYLESS START STOP ETC. TWO KEYS, FULL BOOK PACK, SERVICE HISTORY. STUNNING EXAMPLE FINISHED IN FIRENZE RED WITH FULL BLACK LEATHER TRIM. THIS CAR HAS ONLY HAD ONE OWNER SINCE NEW WITH A FULL LAND ROVER SERVICE HISTORY. 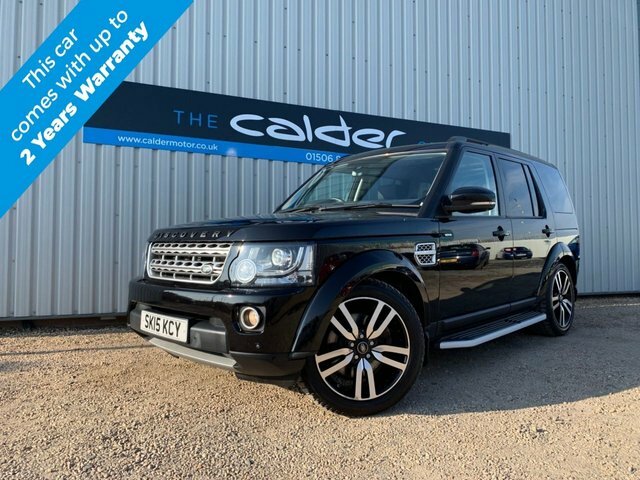 GREAT SPEC CAR WITH THE FULL STEALTH PACK ( BLACK PACK ) 22" BLACK ALLOY WHEELS, SATELLITE NAVIGATION, REVERSING CAMERA, DAB RADIO, BLUETOOTH WITH MUSIC STREAMING, HEATED FRONT AND REAR SEATS, PRIVACY GLASS, XENON LIGHTS AND LOTS LOTS MORE. THIS CAR HAS ITS FULL BOOK PACK, TWO KEYS AND A FULL LAND ROVER SERVICE HISTORY. 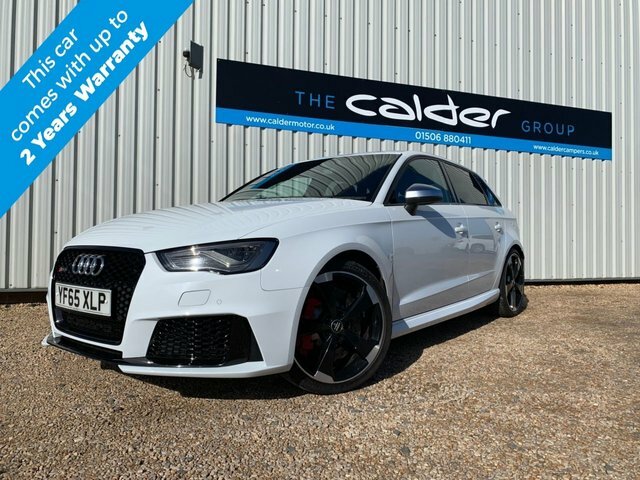 SIMPLY STUNNING RS3 FINISHED IN GLACIER WHITE METALLIC WITH BLACK LEATHER TRIM. THIS CAR HAS A FULL AUDI SERVICE HISTORY WITH 2 SERVICES CARRIED OUT SO FAR AND HAS ONLY HAD ONE FORMER KEEPER SINCE NEW. 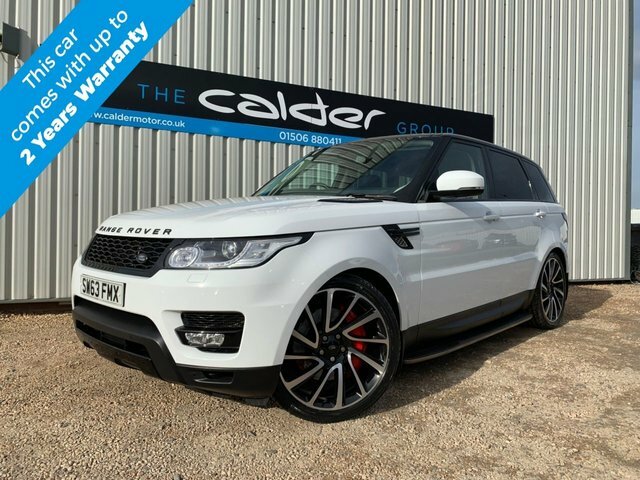 GREAT SPEC WITH OVER £7000 OF ADDITION SPEC INCLUDING DYNAMIC PACK, SOUND AND COMFORT PACK, SATELLITE NAVIGATION, RED BRAKE CALIPERS, 19" DIAMOND CUT ALLOY WHEELS. 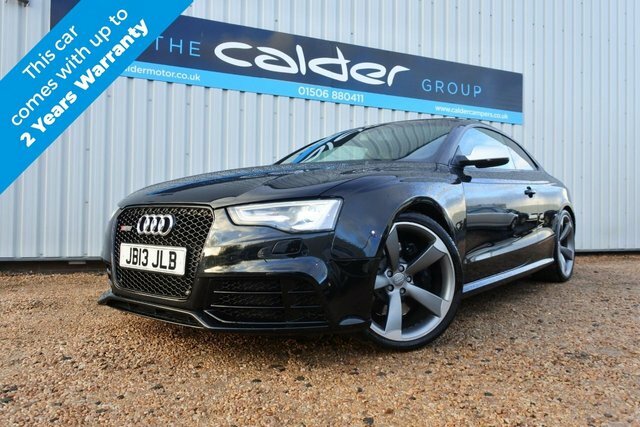 LED RUNNING LIGHTS, HIGH GLOSS BLACK STYLING PACK, B+O SOUNDS+DAB RADIO+AUDI MUSIC INTERFACE AND MUCH MORE. VERY HOT, HOT HATCH! TWO KEYS, FULL BOOK PACK, FULL AUDI MAIN DEALER SERVICE HISTORY ETC. WOW, THIS CAR IS A TRULY AMAZING IN EVERY WAY, FINISHED IN SAPPHIRE BLACK METALLIC WITH BLACK LEATHER AND ALCANTARA TRIM WITH BLUE STITCHING. THERE WERE ONLY 750 OF THESE CARS MADE WORLD WIDE AND 125 FOR THE UK MARKET. THIS CAR HAS A FULL VOLVO SERVICE HISTORY WITH 3 SERVICES CARRIED OUT SO FAR. 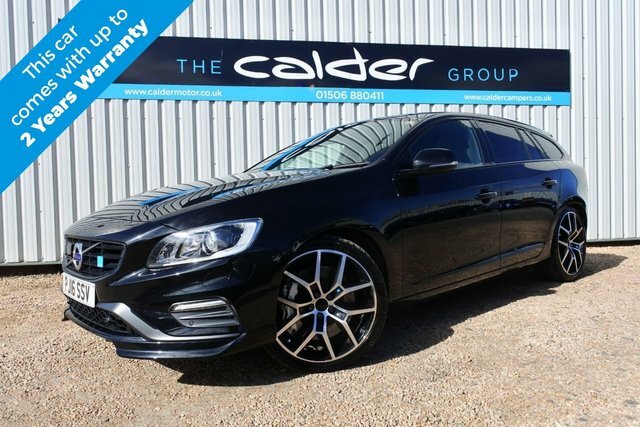 THESE CARS HAVE AN AMAZING FACTORY SPEC AND ALL COME WITH EVERY OPTION AS STANDARD INCLUDING ELECTRIC GLASS SUNROOF, SATELLITE NAVIGATION, BLUETOOTH, 20" ALLOY WHEELS, ADAPTIVE CRUISE CONTROL AND LOTS MORE. THIS CAR ALSO HAS THE FACTORY FITTED FULLY ADJUSTABLE OHLINS SUSPENSION, SWITCHABLE SPORTS EXHAUST, KEYLESS START STOP, PRIVACY GLASS, AND LOTS MORE. THIS CAR HAS BEEN TRULY LOVED AND THIS WILL BE A GENUINE FUTURE CLASSIC. THE LAST OF THE BIG ENGINE VOLVO'S ( 3.0 6 CLYD ) SIMPLY STUNNING CAR IN EVERY SINGLE WAY. TWO KEYS, FULL BOOK PACK, FULL DEALER SERVICE HISTORY. STUNNING RS5 ONLY TWO FORMER KEEPERS SINCE NEW COVERING 61200 MILES WITH A FULL AUDI MAIN DEALER SERVICE HISTORY WITH FOUR SERVICES CARRIED OUT SO FAR AND LAST DONE AT 56000 IN JUNE 18. 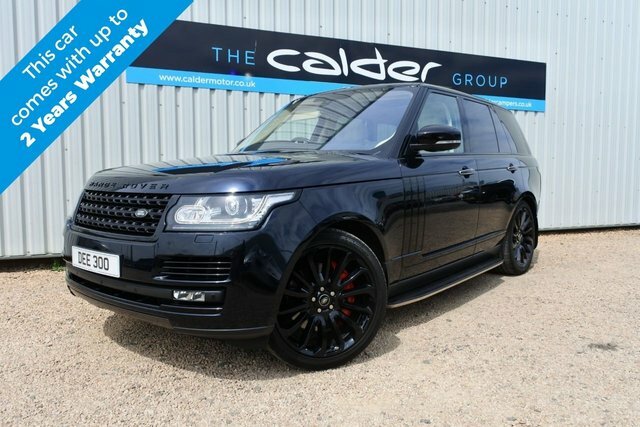 THIS CAR HAS A LOVELY SPEC WITH THE BLACK STYLING PACK, 20" ROTOR ALLOY WHEELS, SUN PROTECTION GLASS, MMI SATELLITE NAVIGATION PLUS, DAB RADIO, SPORTS PACK, SPORTS EXHAUST, CARBON FIBER ENGINE BAY DESIGN PACK, B+O SOUND SYSTEM, ADVANCE KEY, HEATED SEATS, ELECTRIC SEATS, VOICE CONTROL AND LOTS MORE. THIS IS OVER £8000 OF OPTIONAL EXTRAS! 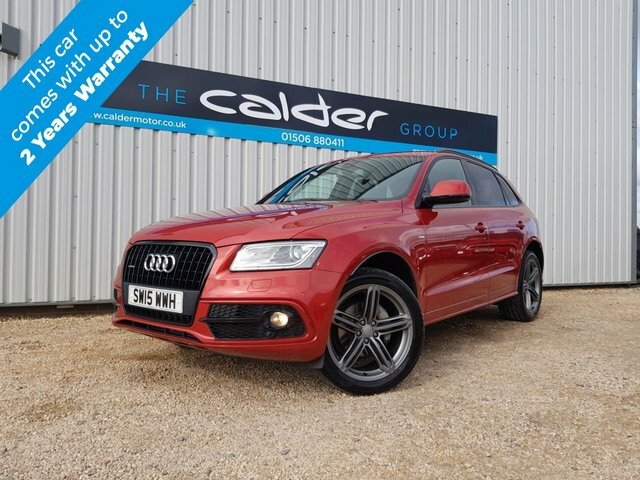 Get the best deal on a used car for sale in West Lothian by making your way to Calder Motor Co Ltd today. You'll find every available model listed here on the website, and as all our stock is competitively priced you should have no problem sourcing a pre-owned to suit your budget. Take the opportunity to browse our current range online before contacting a member of the showroom team to find out more. Our friendly and knowledgeable staff will be more than happy to answer any questions and provide advice and guidance when necessary. Alternatively, why not pay a visit to our showroom in person and take a closer look at the selection of used car models for sale.